The makers of the Chocolate Inhaler have done themselves one better. 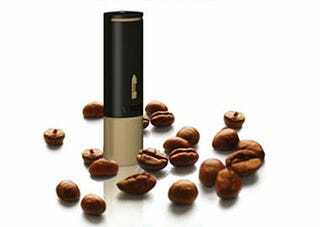 The Le Whif Coffee Inhaler, a lipstick-sized tube that contains a "breathable coffee powder," gives you a nice caffeine fix without all that drinking and swallowing messiness. How nice?